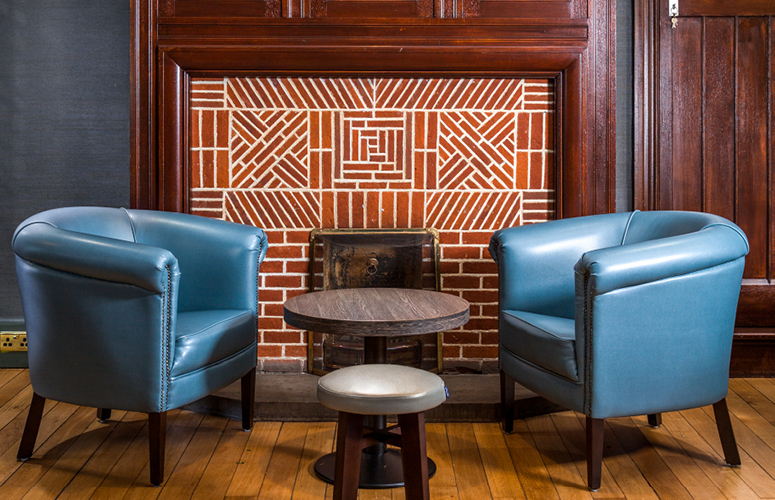 The bar and lounge area of this long-standing leisure club was in great need of updating. 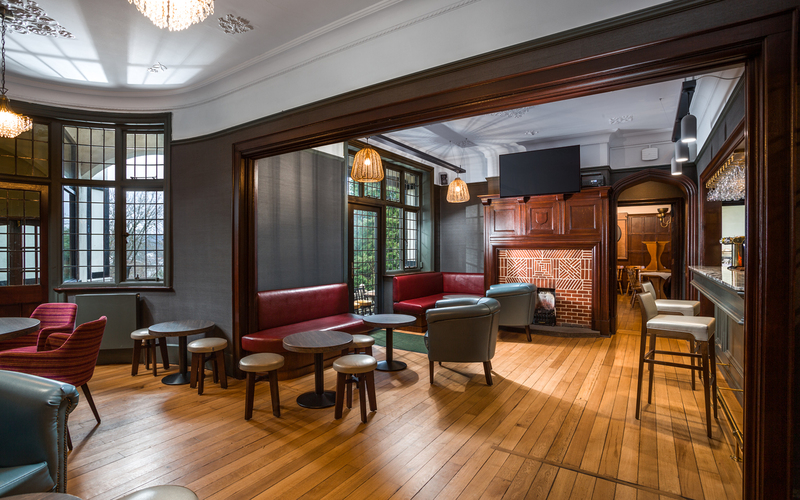 The current owners had previously updated the functional aspects of the club including the squash courts and gymnasium but wanted to make the club social spaces somewhere really special for its members. We didn’t want to lose the character of the unusual building that the club is housed in. 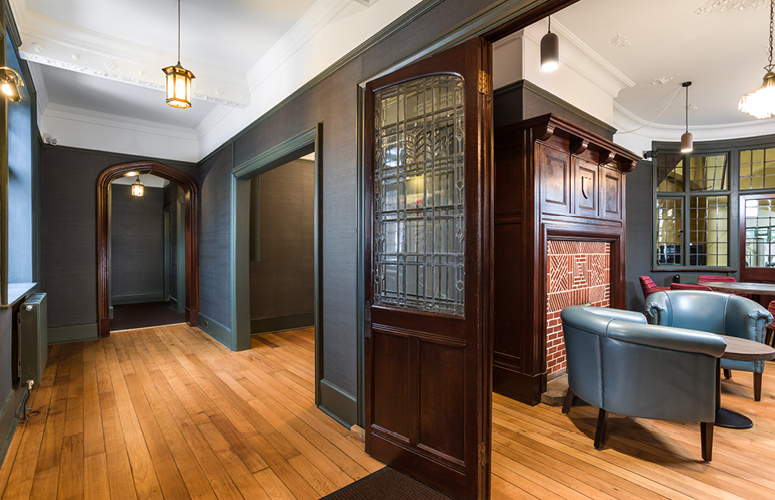 The existing timber flooring was retained and refurbished, wall panelling and ceiling features were enhanced and textured contract grade wallpaper and matt finishes were introduced to create a homely feel yet ensure the durability of the surfaces. 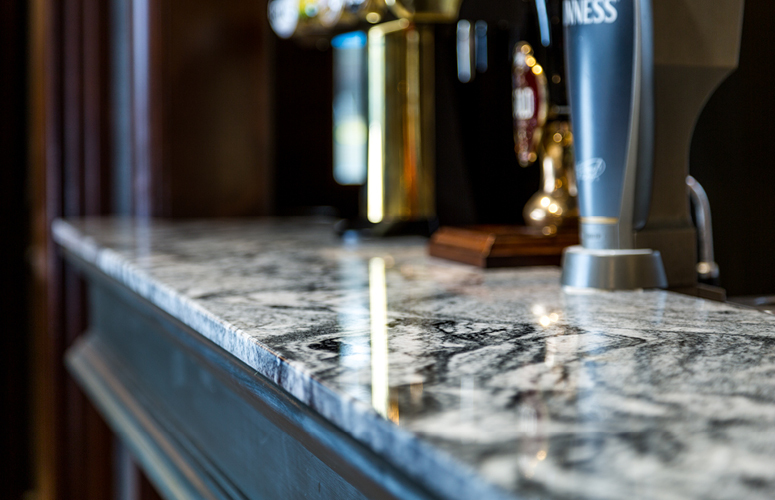 The bar are was given a new lease of life by simplifying the colour scheme and introducing some natural stone/quartz countertops to the bar top and back bar. 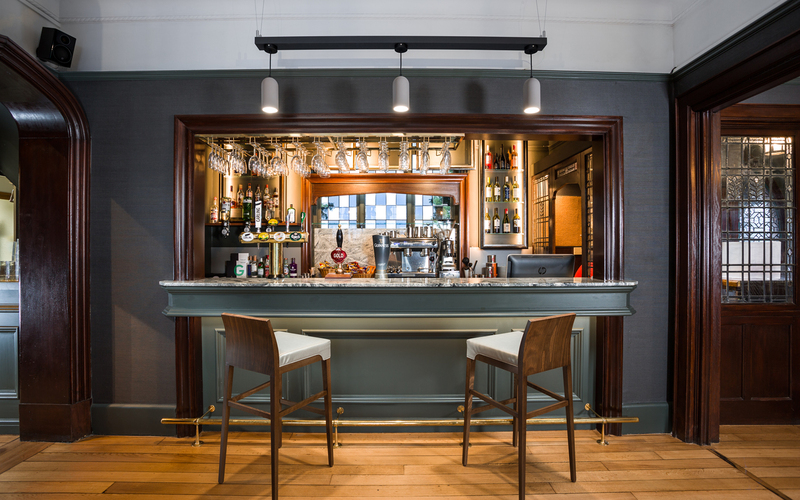 The function was improved with completely new shelving and the coffee machine was repositioned in a more prominent place to entice customers to stay and enjoy a relaxing cup of coffee. The tills were also repositioned to maintain sight lines and allow staff to face customers as much as possible. Screen positioning and furniture layout were improved and an existing window was replaced by a door. 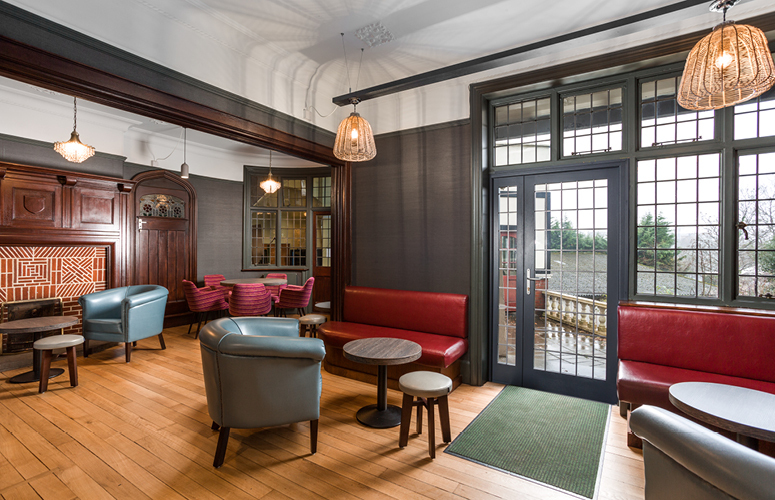 This allowed members to access the terrace area and make the lounge more adaptable for functions in the summer months. The result is a stylish yet functional space for members to relax and unwind before and after a game. 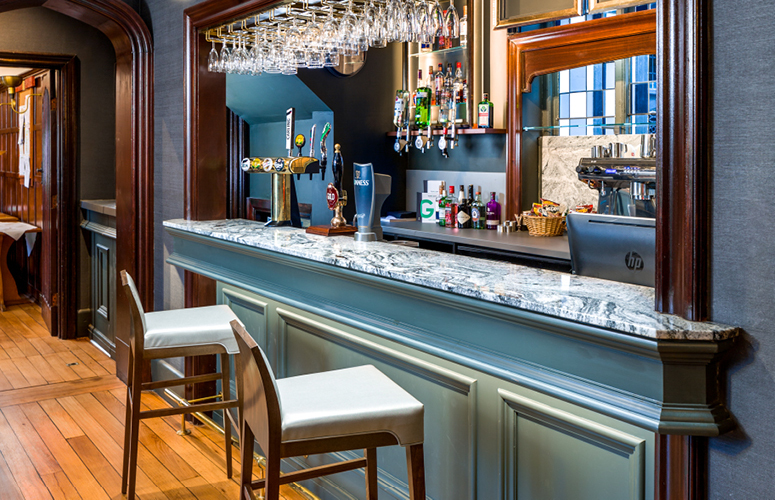 With seating numbers retained and improved access to the terrace and garden area, the bar and lounge are much more versatile for the changing needs of the club. 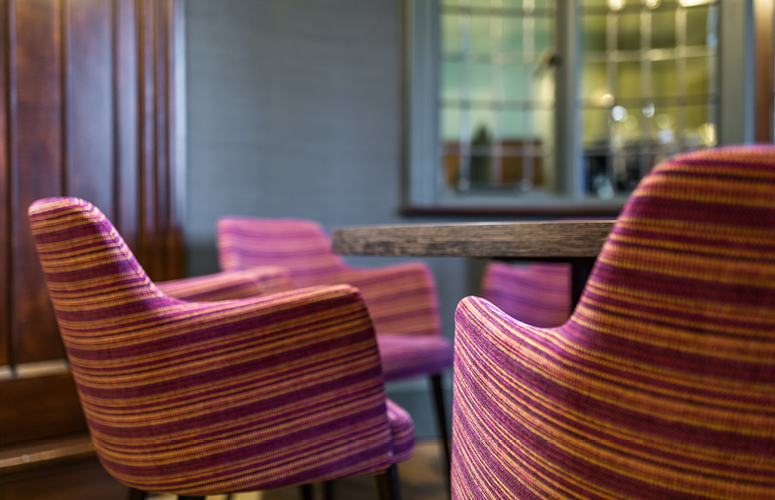 The colour scheme has been modernised by introducing a palette of materials that are classic yet bring the club up to date and durable finishes will ensure the longevity of design. s.